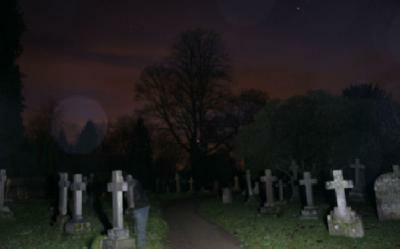 In paranormal investigations, it has been noted that sometimes music or speaking the right words will elicit a reaction from a ghost on occasion. This happens often enough to be used as a strategic tool by savvy investigators who plan ahead when entering into the field to hunt spiritual entities. This theory, often called the "Singapore Theory", "Theory of Familiarization" or "Paranormal Stimuli" is used in investigation work to create a reaction by the spirits of a particular era by doing something that evokes action on their part. This is usually because of sentimental or emotional reactions to the stimulus. One thing I tried recently was to use very good Whiskey to give to some spirits that my EVPs were picking up regularly in a couple of areas close to my home and it turned out to be a huge hit with them, so gifts may fall into that definition of a reaction. Similarly, my visitation of graveyards and wishing the locals a Merry Christmas and bringing gifts to them to thank them for a wonderful year of EVPs seems to have been the ticket to hearing some very gratifying responses. Despite my being an investigator, I also was very touched at some of the kind responses and the Singapore Method can clearly benefit the living in more ways than simple collection of evidence. It does come down to being sensitive to the emotions of our unseen friends while seeking evidence of the paranormal at the same time. A balancing act indeed, but it can be done. The technique can be used with music, visual stimuli or perhaps even reading passages of a book or poetry that the spirit might be familiar with. The use of meaningful names of personalities can also do this. Being armed with a foreknowledge of the area being investigated is helpful and carrying a small MP3 player with music from many eras is not a bad idea (as well as portable speakers to broadcast the sound) as a part of the paranormal investigator toolkit. The desire is to elicit a reaction, visually, instrumentally (EMF) or with EVP results being the payoff. Either that or a potential manifestation. Clearly, the investigator needs to be ready for anything when using the Singapore Theory in their investigations. Spirits, being familiar with the music of an era or with other information presented by the investigator, may react either positively or negatively to the stimulus. In many respects, it is similar to fishing and indeed, this is a form of casting the waters after having studied the site and history of a particular case. Research is the key to success. In my own case here in the Mother Lode of California, one would need to research music common to Gold-Rush era camps as well as music listened to by ethnic groups such as Irish, Chinese, local Miwok American Indian and others who commonly lived near or worked in the many camps common to the California gold rush era of the 1850s through the early 20'th century. Even then, it would pay to keep a generic kit of music on hand with a dedicated MP3 player that would have the music of each distinct era that could possibly elicit a result. Potentially wearing portions of a costume, creating an environment familiar to the ghost (say, a poker table with all the classic parts like chips, whiskey and the like) might coax a ghost forward to participate. It is difficult to say what might work and what would not. The only way to know is to try and see what comes forth in your investigations. Music, being a universal language, does seem the best way to go and given the inexpensive nature of MP3 players these days, makes it possible to play relevant music on-site and to perhaps stimulate activity that otherwise might not be possible to bring forth. Experiment and see what works and then record this in your case notes. There is general disagreement as to the effectiveness of the method, but who knows? It is yet another potential tool in the arsenal of tricks available to the investigator. Given the low-cost (simple research and planning), it is worth trying as a regular part of any investigation. 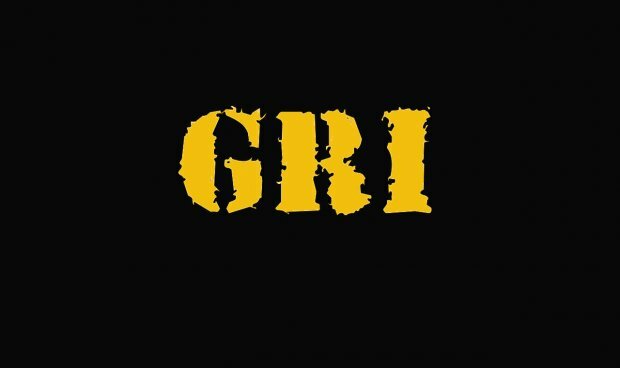 I plan to take the method into the field and test it with a Creative Zen MP3 player in graveyard and inside-investigations and will write it into our standard protocols for GRI work. Comments welcome and anyone who has had experience with the method is certainly welcome to comment here!